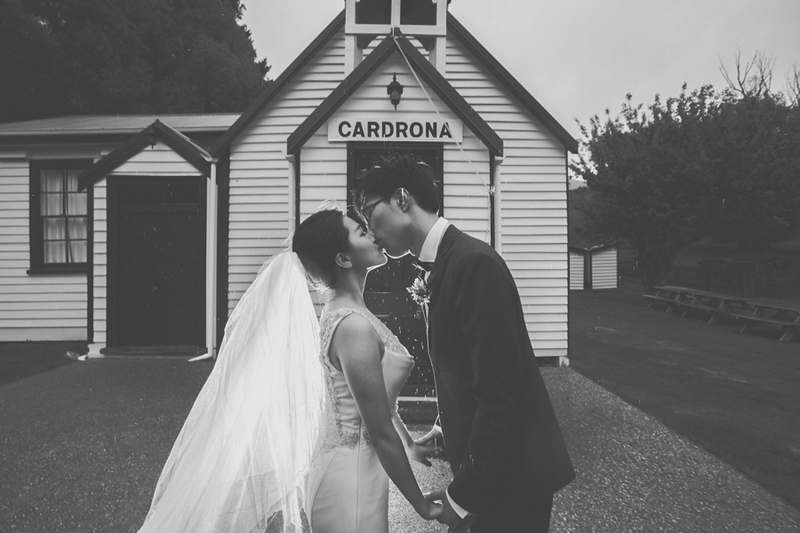 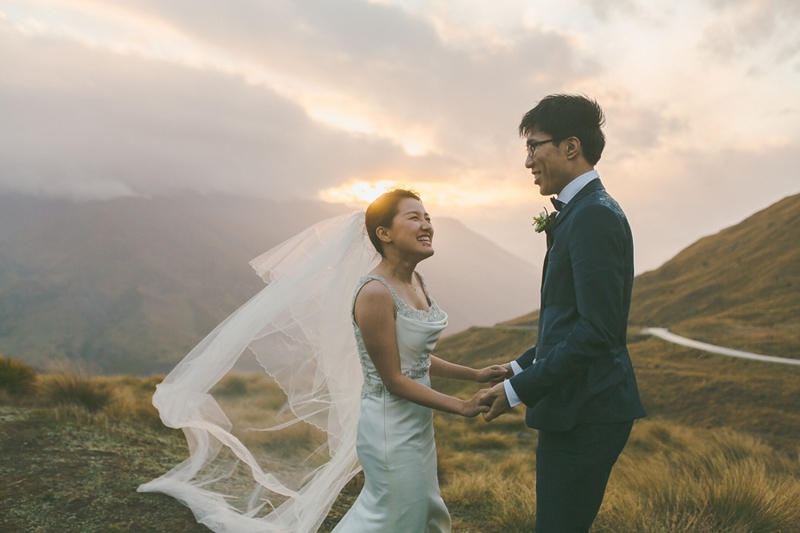 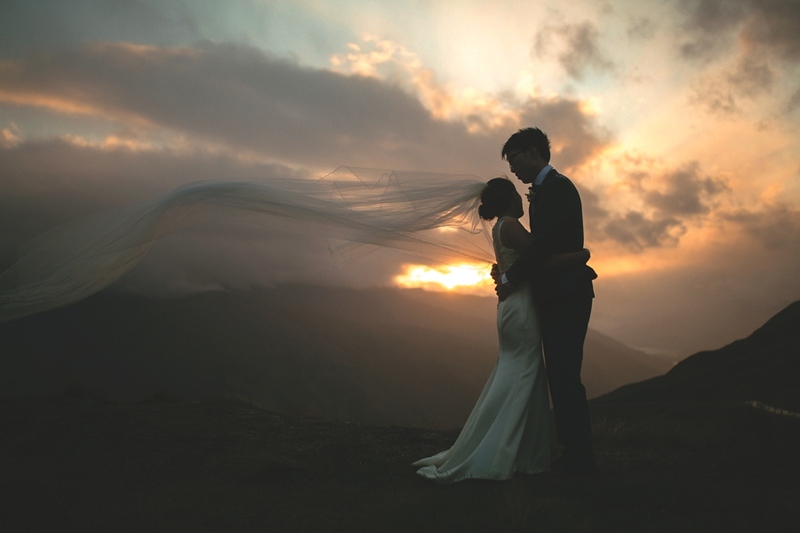 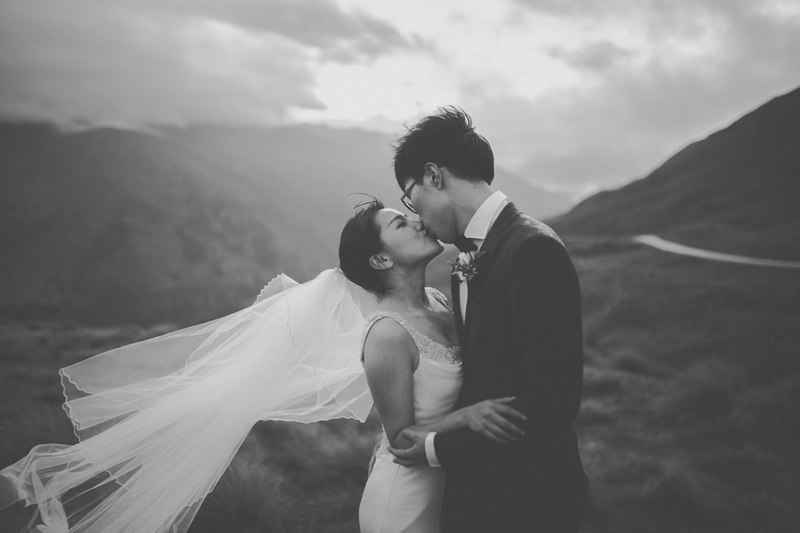 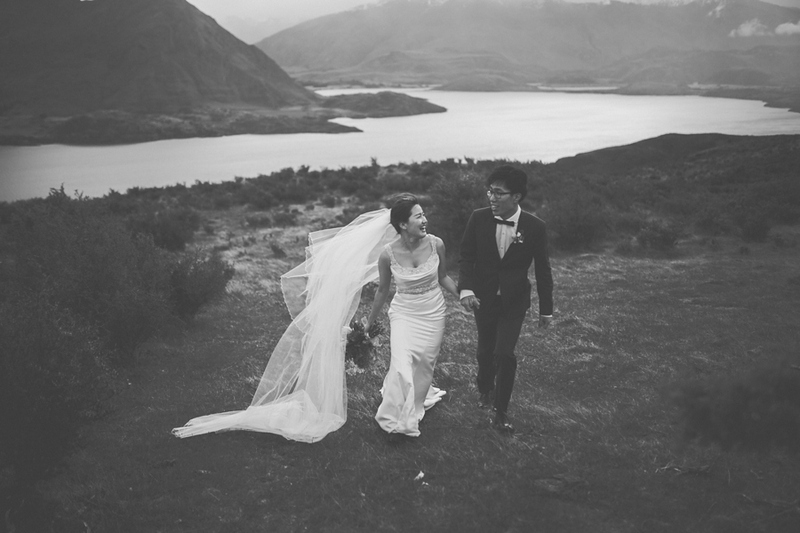 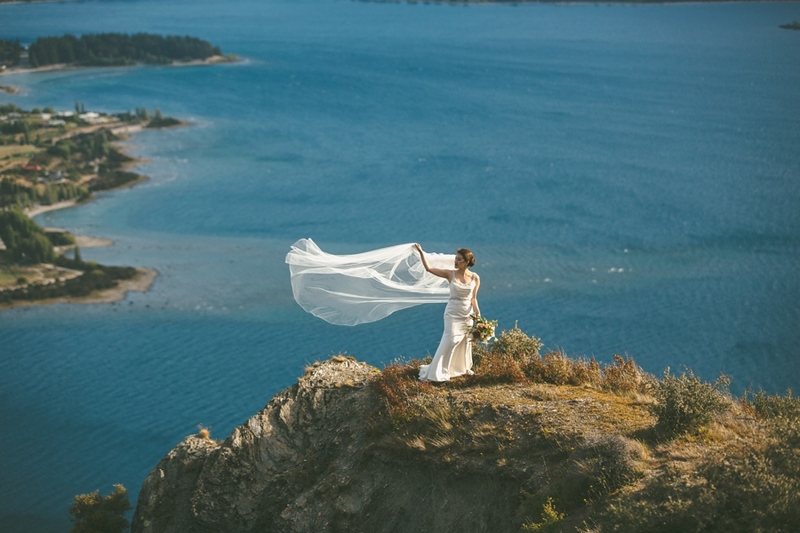 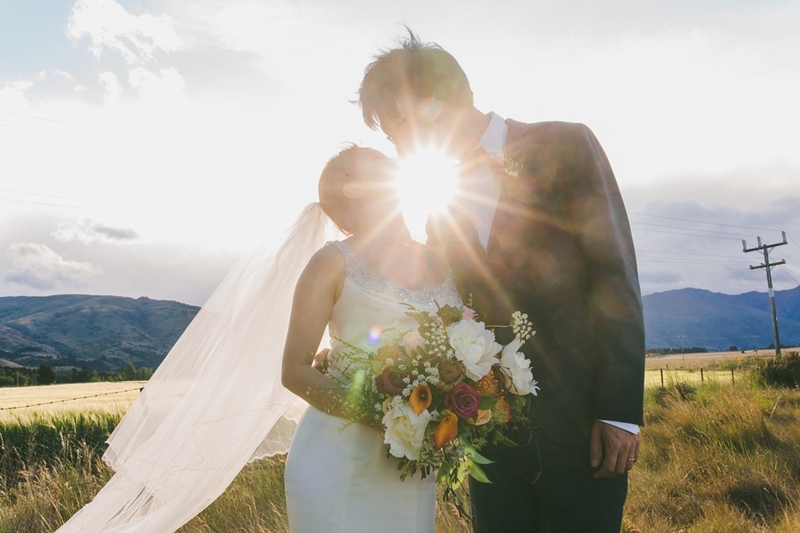 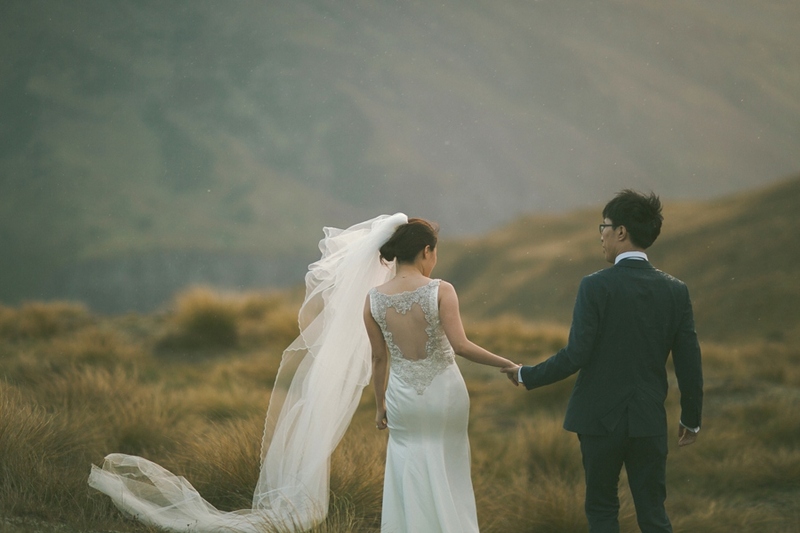 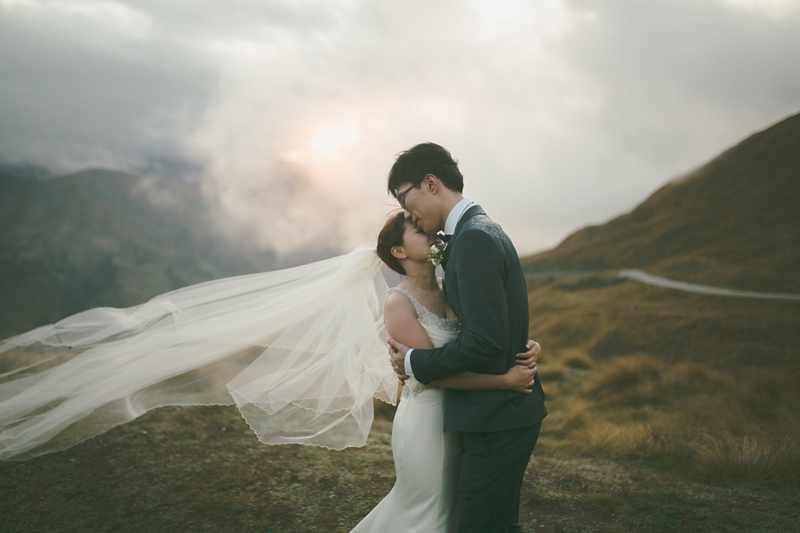 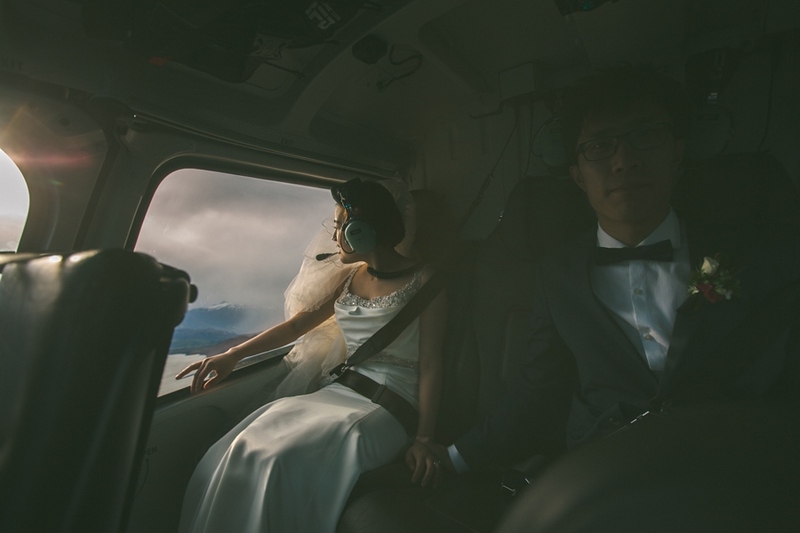 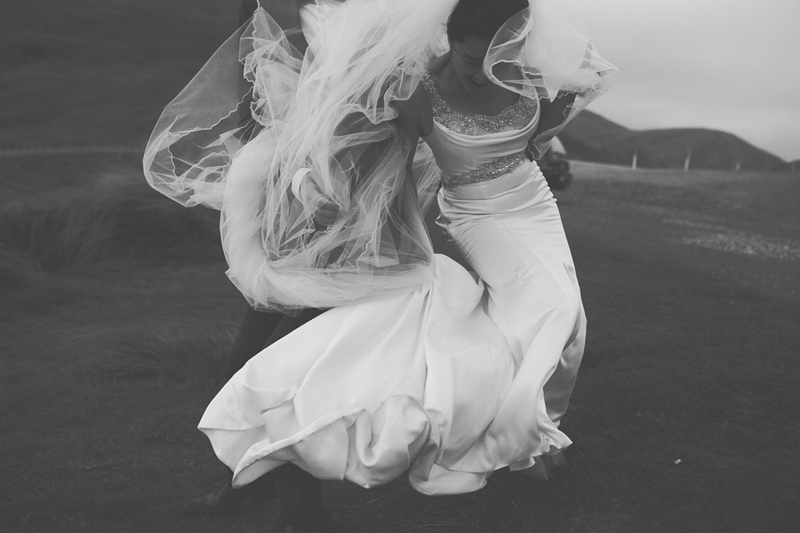 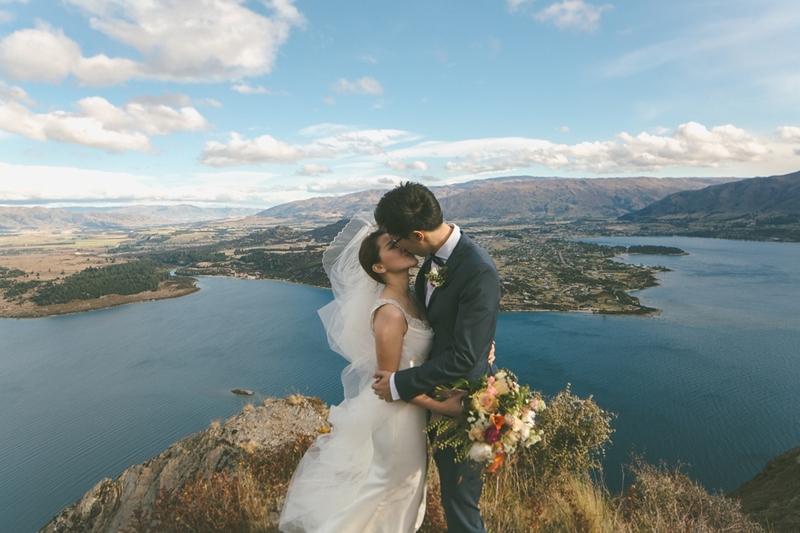 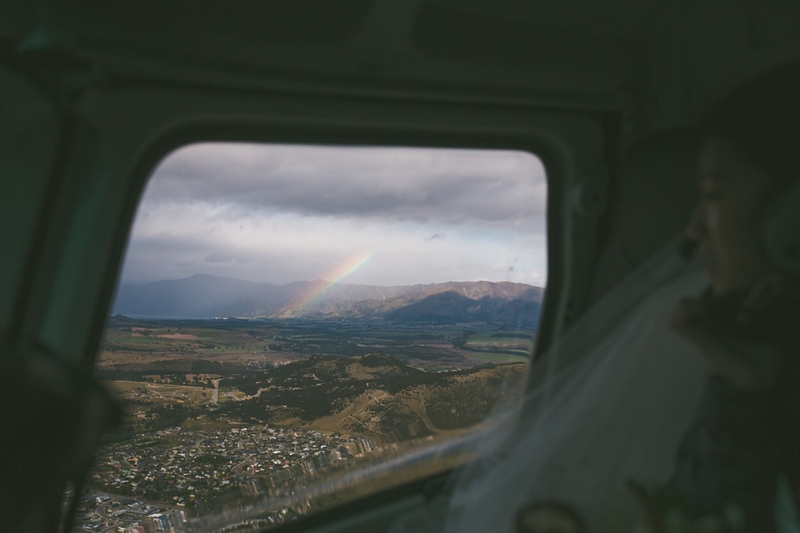 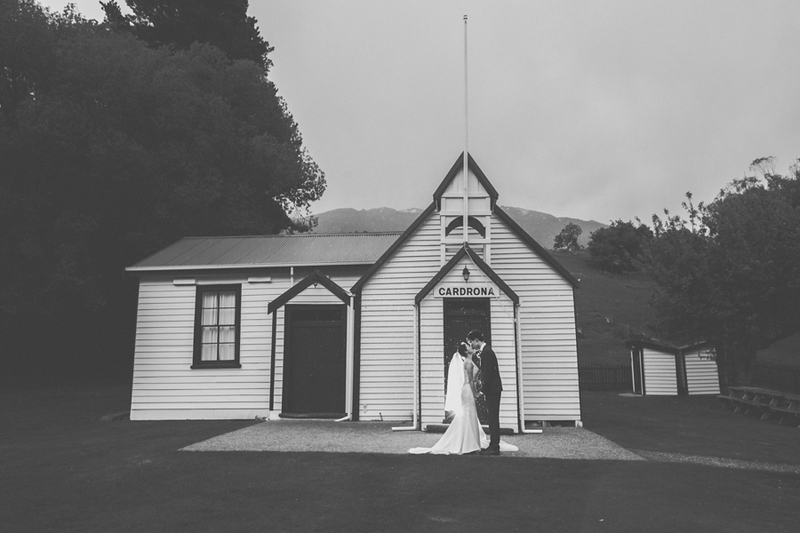 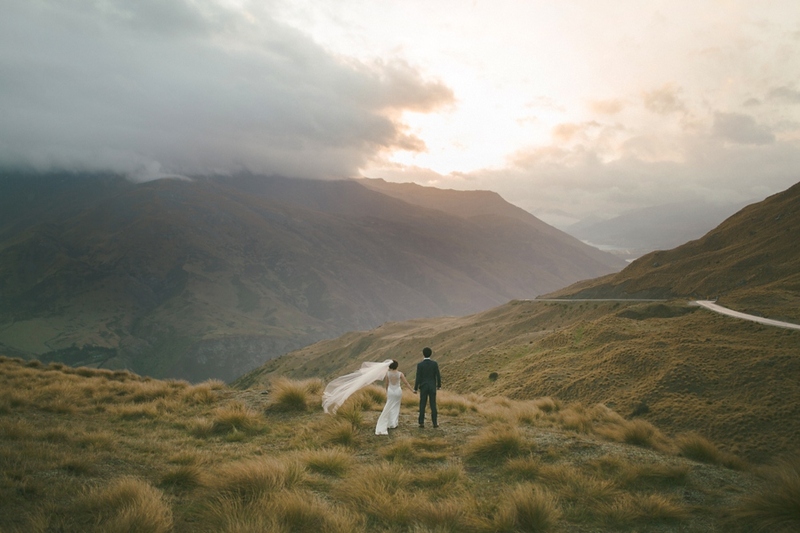 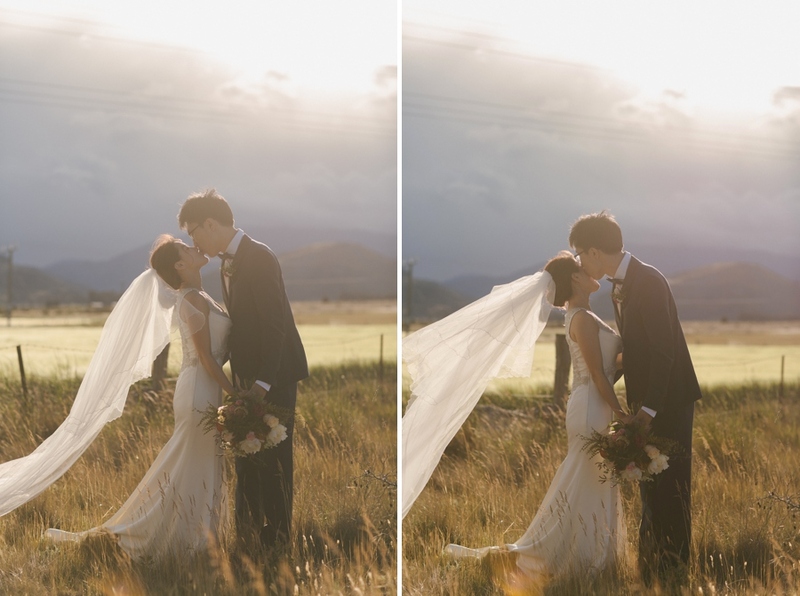 Maggie & James rocked their Wanaka wedding shoot in late November, starting with a helicopter adventure with a scenic flight and quick landing to Coromandel Peak where the winds were blowing over 100km/h – so we went to Plan B. 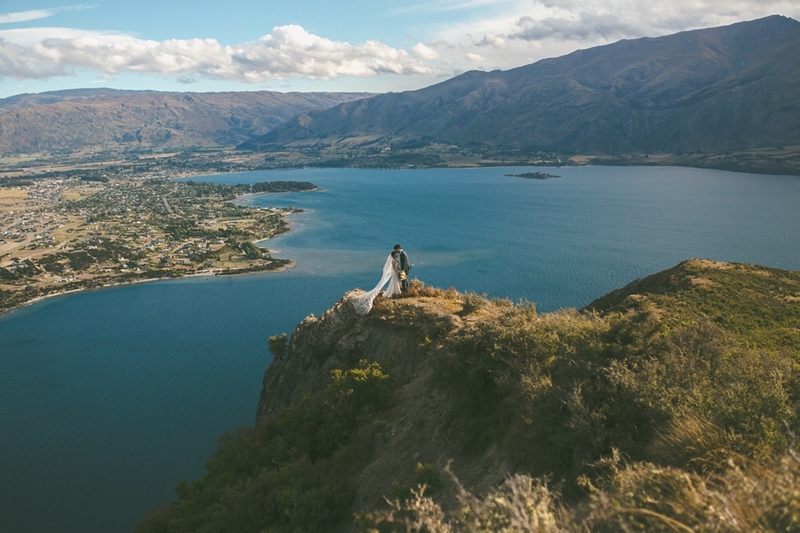 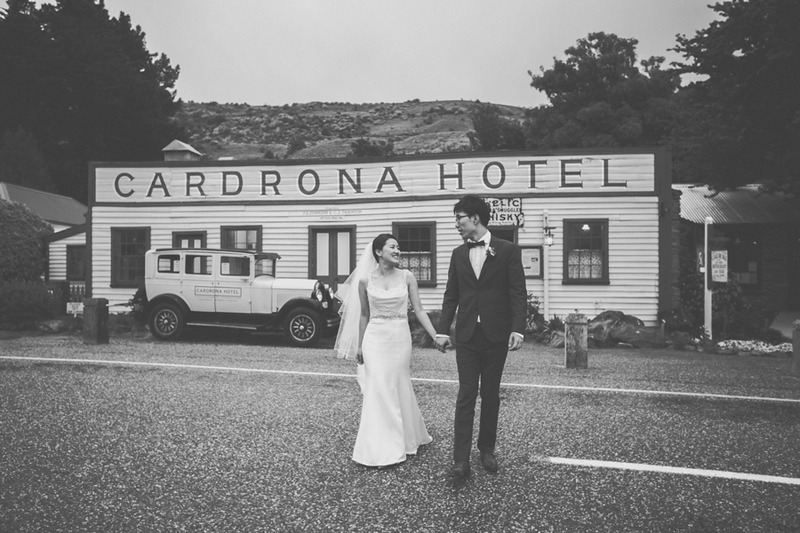 The second landing spot on The Peninsula was beautiful – with views overlooking Wanaka and much less wind. 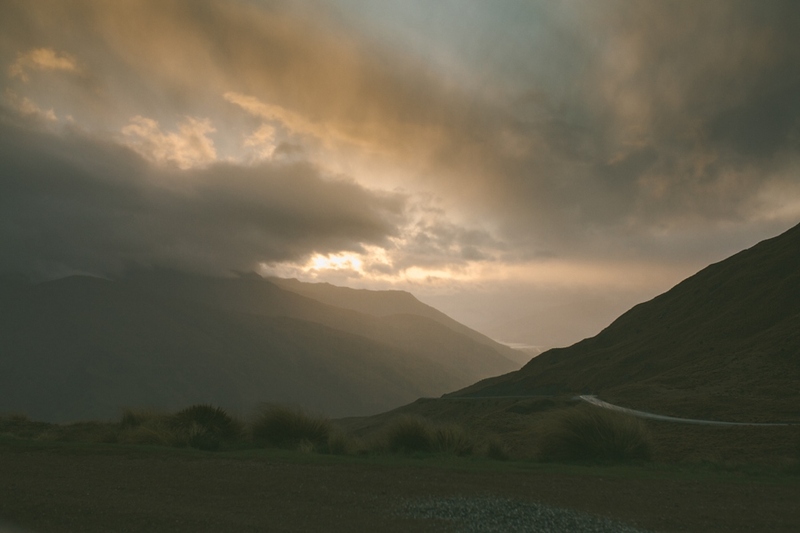 Following the heli trip we chased the light (+rain) along the Crown Range, which just happens to be New Zealand’s highest sealed road at 1,076m. 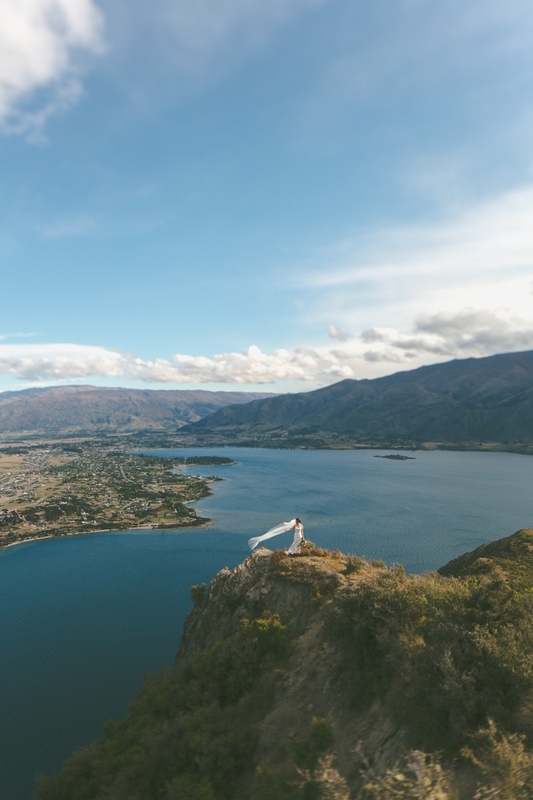 It provided the perfect backdrop as Queenstown and Lake Wanaka revealed itself between the clouds at sunset. 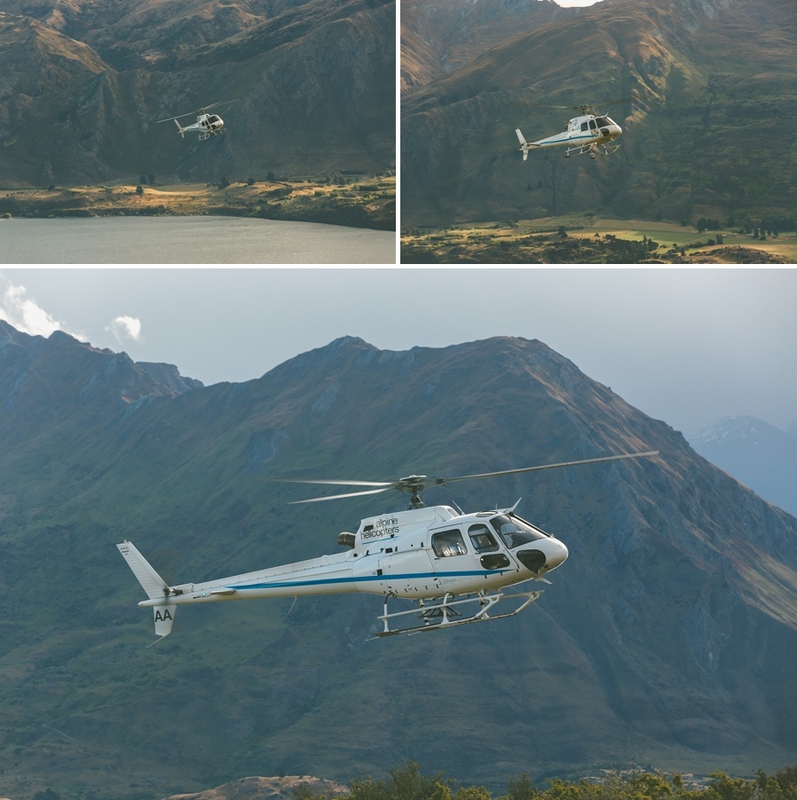 Big thanks to Alpine Helicopters!